Dubai: Pakistan has turned the corner in the fight against extremism and terrorism, said a top diplomat in the UAE. 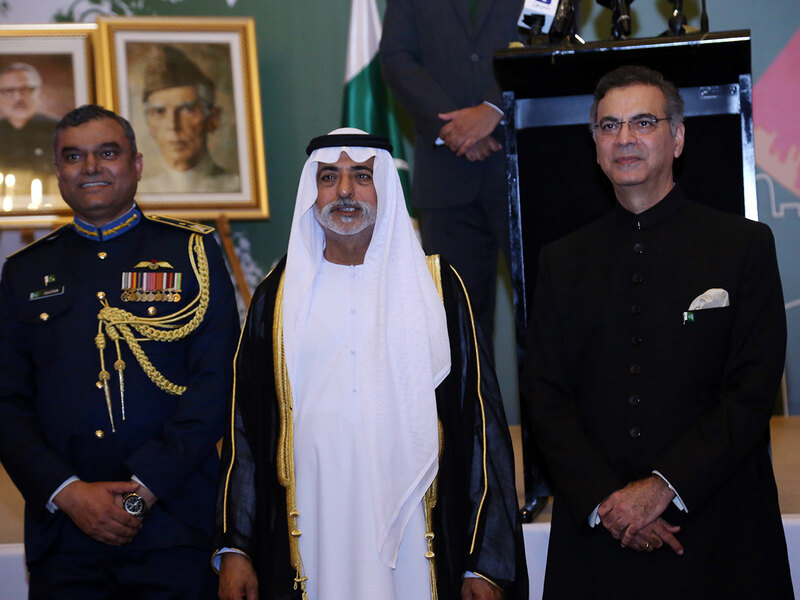 “We have wiped out the forces of evil from our soil due to the unparalleled sacrifices made by our armed forces and our people in the fight against terrorism,” Ambassador of Pakistan Moazzam Ahmad Khan said while speaking at the official reception he hosted in Abu Dhabi on Sunday to celebrate 79th Pakistan National Day. “Pakistan has not only survived but thrived,” he added. 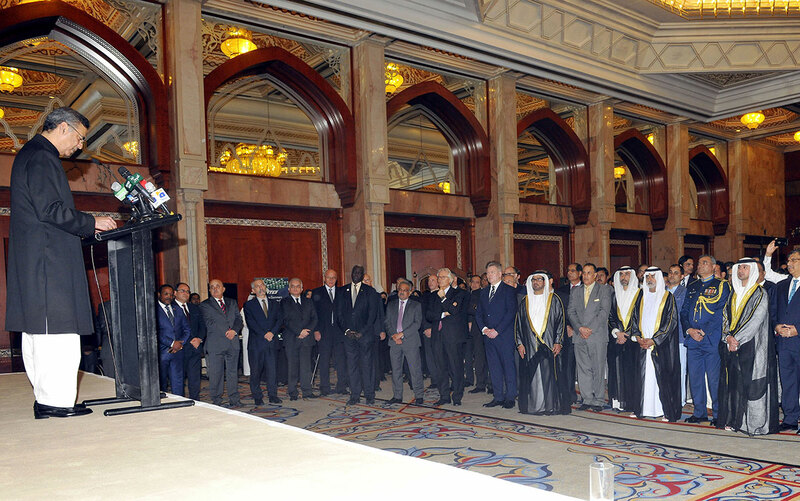 Shaikh Nahyan Bin Mubarak Al Nahyan, Minister of Tolerance, was the chief guest at the event which was attended by a large number of officials, diplomats and prominent Pakistani community members. During his speech Ambassador Khan touched upon various aspects of Pakistan’s new journey towards development under the leadership of Prime Minister Imran Khan. “The people-centric development agenda of Prime Minister Imran Khan, coupled with the rapid pace of implementation of the China-Pakistan corridor, world-class military and proven diplomatic finesse, is fast transforming Pakistan’s geostrategic significance into geo-economic strength,” he explained. He noted that they were not only going to be a game changer for Pakistan but would also bring immense opportunities for international businesses. He said that Pakistan’s doors would be wide open to legions of global travellers to Asia’s best kept secrets with improved security and much relaxed and easy visa regime recently announced by Prime Minister Imran. Ambassador Khan also paid tribute to the friendly countries who stood by Pakistan in recent difficult times. 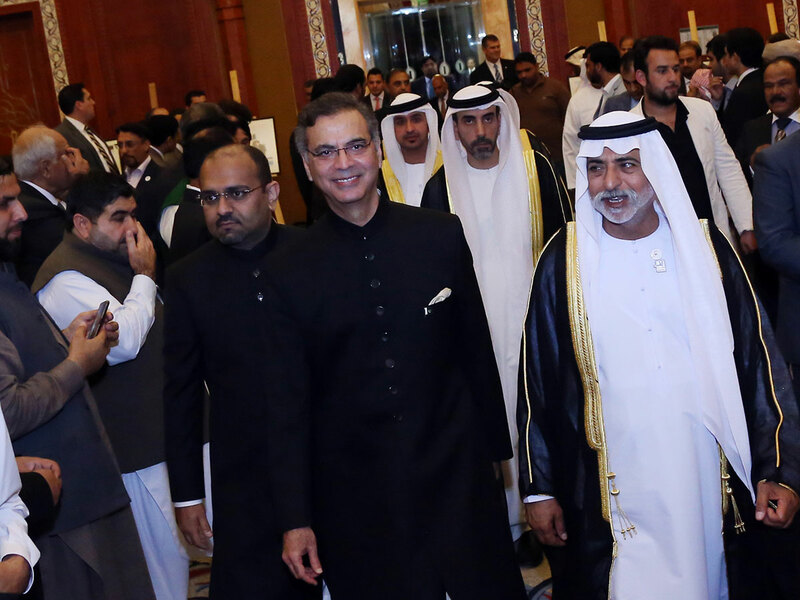 “I count the UAE among the foremost of Pakistan’s friends and partners. Right from its inception in 1971, the UAE has stood by Pakistan in good times and bad,” he said. “I would particularly like to thank the UAE leadership for its generous financial support to Pakistan. It will go a long way in helping Pakistan address its external financial challenges,” he reiterated.